Concepts: The Rebel Ships of Star Wars: Episode VII Part 2 The J-wing Fighter! Today we have a really neat piece to discuss. 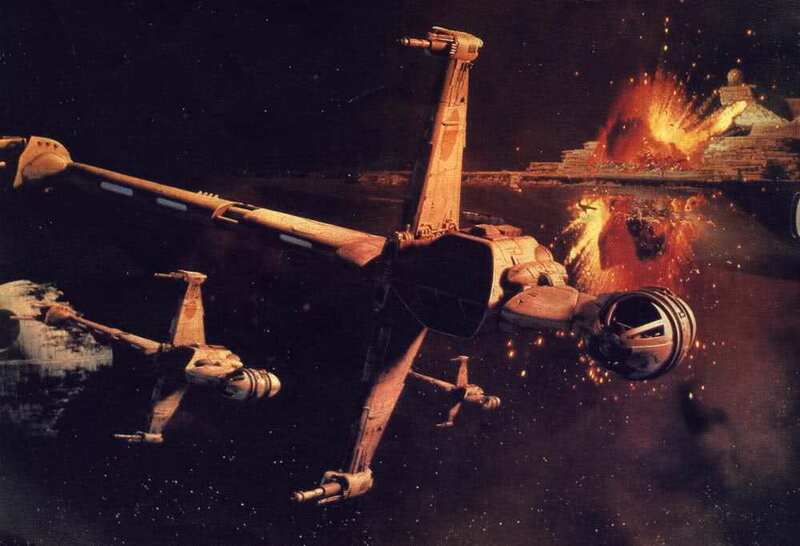 Concept art for a J-wing fighter was drawn up for Star Wars: Episode VII. Star Wars: Episode VII either has a lot of ships for a battle sequence or they spent a lot of time exploring many ideas. The one thing I have to say, if these ships don’t end up in the film, at least the video games and comics are going to have a lot of beautiful, cool, and rad ships to pull from. I’ve never really been that excited by ships outside the films themselves but with the amount of inspired work going on with this film, the future looks great. Imagine a flying wing, long, and curved into a “J.” Rotate the “J” to the right onto its side. The curve of the wing bends, sleekly. The cockpit is placed at the far right top of the “J.” The cockpit of the ship once again evokes the Phantom from Star Wars Rebels. It is basically a curved flying wing with a cockpit like the Phantom on it. Inside the cockpit, the pilot sits with an orange X-wing styled flight suit on. Behind him, Artoo-Detoo sits in the socket just like he would in an X-wing. The sides of the cockpit has two small X-wing style thrusters. To the left of the cockpit, towards the top of the J shape, a radar dish is embedded in the body of the ship. To be clear, the dish is in the body, it is not mounted like it is on the Falcon. However, the dish is the same style as the Falcon’s dish. At the top of the J, the very top, there is a laser gun. At the front of the cockpit there is a a similar laser gun too. At the bottom of the J, just after it curves, there are 5 missiles. In this piece of art, the third missile fires. At the very bottom of the J is a laser gun exactly like the the ones on the wings of the legendary X-wing Fighter. To help visualize the ship better I’m going use the B-wing as a model. Describing abstract spaceships is not easy. Hopefully my details allow you to envision what the ship might look like on screen in 2015 if it makes the cut.